11-21.06.2015/ г.Бангор, Великобритания= Чемпионат Европы Masters. В меню сайта - Положения и документы размещён: Вызов и документы для визы - на участие в Чемпионате Европы Masters 11-21.06.2015. Контакты для справок: 8926-582-42-80 или v-sushchak@yandex.ru = Сущак Владимир Пантелеевич. ВИДЕО Eric Dolman (23 мин) ==> НАЖАТЬ СЮДА. Фотографии в альбоме «11-21.06.2015. Чемпионат Европы Masters. Бангор, Великобритания.», автор Захаров Александр на Яндекс.Фотках. ВИДЕО Eric Dolman (11 мин) ==> НАЖАТЬ СЮДА. EUROPEAN MASTERS WEIGHTLIFTING 2015 - SESSION 23. ВИДЕО David Mannion (42 мин) ==> НАЖАТЬ СЮДА. European Masters 2015 - session 23 - David Mannion. ВИДЕО David Mannion (6 мин) ==> НАЖАТЬ СЮДА. EUROPEAN MASTERS WEIGHTLIFTING 2015 - PATRICK ATTERIDGE INTERVIEW. David Mannion interviews UK lifter Patrick Atteridge from Bethnal Green Weightlifting Club, London, who took part in this year's European Masters Weightlifting Competition. It took place at Bangor University, Bangor, Wales. Patrick won silver medal in Session 18, M60 - 56, 62, 69, 77 kg in the 62kg category with a total of 133kg. ВИДЕО David Mannion (2 мин) ==> НАЖАТЬ СЮДА. EUROPEAN MASTERS WEIGHTLIFTING 2015 - GARETH EVANS INTERVIEW. An interview with Gareth Evans, Welsh Olympic Weightlifter for the UK. 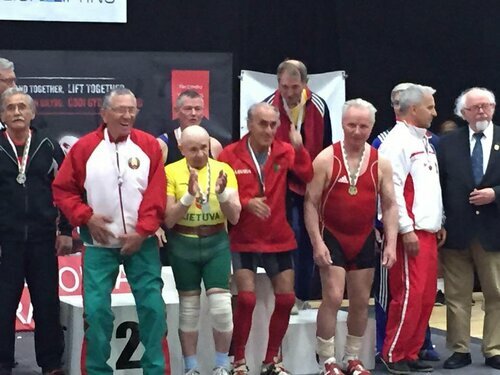 It took place at the European Masters Weightlifting Championship 2015 which was held in Bangor, Wales. Gareth hopes to compete at the Rio Olympics in 2016. EUROPEAN MASTERS WEIGHTLIFTING 2015 - JANINE MURPHY INTERVIEW. David Mannion interviews Janine Murphy (and her coach) who won gold in her weight division at this year's European Masters Weightlifting competition held in Bangor Wales (Session 8, W40, 75kg). Janine is a former Thai kickboxing champion who was known as 'Janine The Machine' and has been lifting weights since she was 21. She is based in Wessex and works as a fitness and weightlifting trainer. ВИДЕО David Mannion (1 мин) ==> НАЖАТЬ СЮДА. EUROPEAN MASTERS WEIGHTLIFTING 2015 - ANDY SEABER AND DAVID MORGAN INTERVIEW. World record holder Andy Seaber and Commonwealth Champion David Morgan are interviewed by David Mannion at the European Masters Weightlifting Championships 2015 in Bangor, Wales. Andy Seaber is a retired firefighter who has won World and European records in weightlifting. He is based in the Cambridge area. His trainer, David Morgan, is a former Commonwealth Games champion. ВИДЕО David Mannion (4 мин) ==> НАЖАТЬ СЮДА. EUROPEAN MASTERS WEIGHTLIFTING 2015 - DAVID JONES INTERVIEW. David Mannion interviews David Jones, the Health and Fitness Manager at Bangor University Sports Centre who hosted this year's European Masters Weightlifting Competition. The excellent facilities were enjoyed by all, and the staff did a tremendous job during the competition. ВИДЕО David Mannion (3 мин) ==> НАЖАТЬ СЮДА. EUROPEAN MASTERS WEIGHTLIFTING 2015 - SESSION 7. Session 7 of the 2015 European Masters Weightlifting competition which was held in Bangor, Wales. ВИДЕО David Mannion (38 мин) ==> НАЖАТЬ СЮДА. EUROPEAN MASTERS WEIGHTLIFTING 2015 - SESSION 11. ВИДЕО David Mannion (28 мин) ==> НАЖАТЬ СЮДА. EUROPEAN MASTERS WEIGHTLIFTING COMPETITION 2015 - PROMOTIONAL VIDEO. Over 400 lifters took part. Janine Murphy, Patrick Atteridge, Andy Seaber and David Morgan. Theirry Boussardon (FRA), Geoffrey Guilllaumet (FRA), Malcolm Nuttall (GBR), Graham Eggerton (GBR), Herbert Tacho (AUT), Uwe Gebhardt (GER), Oskar Patasi (SVK). ВИДЕО David Mannion (25 мин) ==> НАЖАТЬ СЮДА. EUROPEAN MASTERS WEIGHTLIFTING 2015 - SESSION 9. 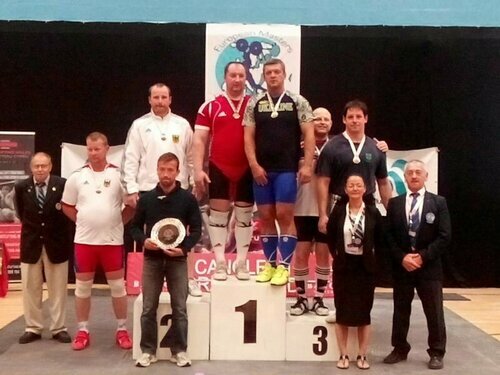 Session 9 of the European Masters Weightlifting Competition 2015, which took place on Sunday 14th June at Bangor University, Wales. ВИДЕО David Mannion (18 мин) ==> НАЖАТЬ СЮДА. EUROPEAN MASTERS WEIGHTLIFTING 2015 - SESSION 8. 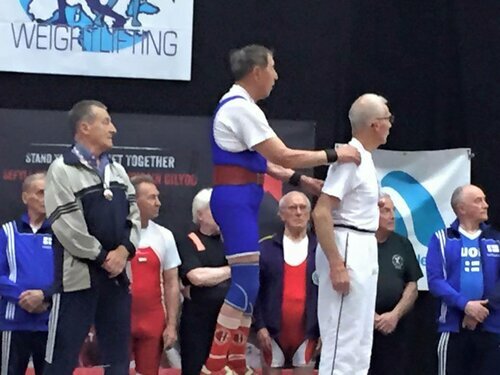 Session 8 of the European Masters Weightlifting Competition 2015, which took place on Sunday 14th June. ВИДЕО David Mannion (41 мин) ==> НАЖАТЬ СЮДА. EUROPEAN MASTERS WEIGHTLIFTING CHAMPIONSHIP 2015 - SESSION 12 - PROMO EDIT. 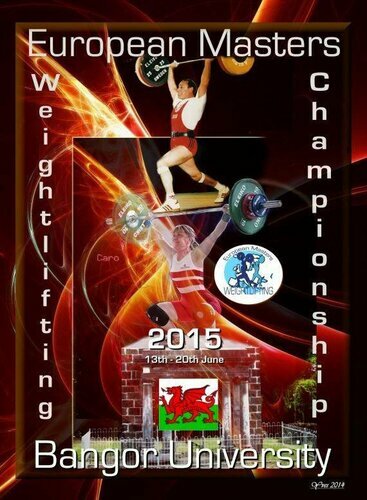 Session 12 of the European Masters Weightlifting Competition 2015 held in Bangor Wales on Monday 15th June. ВИДЕО David Mannion (35 мин) ==> НАЖАТЬ СЮДА. EUROPEAN MASTERS WEIGHTLIFTING CHAMPIONSHIP 2015 - SESSION 21. Session 21 of the European Masters Weightlifting Championship 2015 which took place on 16th June at Bangor University, Wales. EUROPEAN MASTERS WEIGHTLIFTING CHAMPIONSHIP 2015 - SESSION 6. 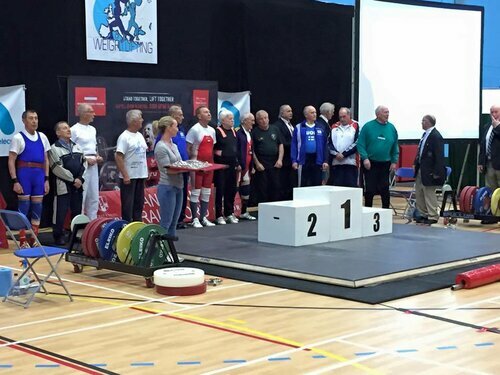 Session 6 of the 2015 European Masters Weightlifting competition which was held in Bangor, Wales. ВИДЕО David Mannion (59 мин) ==> НАЖАТЬ СЮДА. EUROPEAN MASTERS WEIGHTLIFTING CHAMPIONSHIP 2015 - SESSION 13. Session 13 of the 2015 European Masters Weightlifting competition which was held at Bangor University, Bangor, Wales. ВИДЕО David Mannion (23 мин) ==> НАЖАТЬ СЮДА.